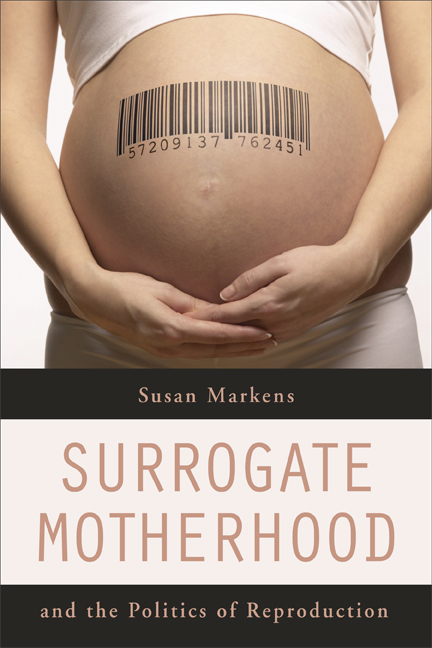 Susan Markens takes on one of the hottest issues on the fertility front—surrogate motherhood—in a book that illuminates the culture wars that have erupted over new reproductive technologies in the United States. In an innovative analysis of legislative responses to surrogacy in the bellwether states of New York and California, Markens explores how discourses about gender, family, race, genetics, rights, and choice have shaped policies aimed at this issue. She examines the views of key players, including legislators, women's organizations, religious groups, the media, and others. In a study that finds surprising ideological agreement among those with opposing views of surrogate motherhood, Markens challenges common assumptions about our responses to reproductive technologies and at the same time offers a fascinating picture of how reproductive politics shape social policy. Susan Markens is Assistant Professor in the Department of Sociology at City University of New York, Lehman College.